My last day of work at Wyo-Ben, Inc was bittersweet. As anyone who has worked for a family owned business knows, even when there are bad days and grumpy co-workers you find yourself connecting to your work in ways that you wouldn’t working for a large corporation. Not only did I have a sense of ownership in the work I did but a sense of comradeship with my coworkers. You go through life together, personal lives intersecting with work lives, failures, triumphs, death, new life…. your coworkers are by your side through it all. I was blessed to work for a family who valued the whole person in their employees. I was delighted to work in a beautiful place surrounded by wildlife that we were encouraged to enjoy. As I ended this five year stint in my working life and headed to a completely different career in the financial field, I had a sense of fear… I was good at what I did. There was a comfort in knowing everyday I came to work I could do the job and do it well. But greater things awaited me and if I wanted to grow, I would have to take some chances and step out of my comfort zone. These were my thoughts that day. 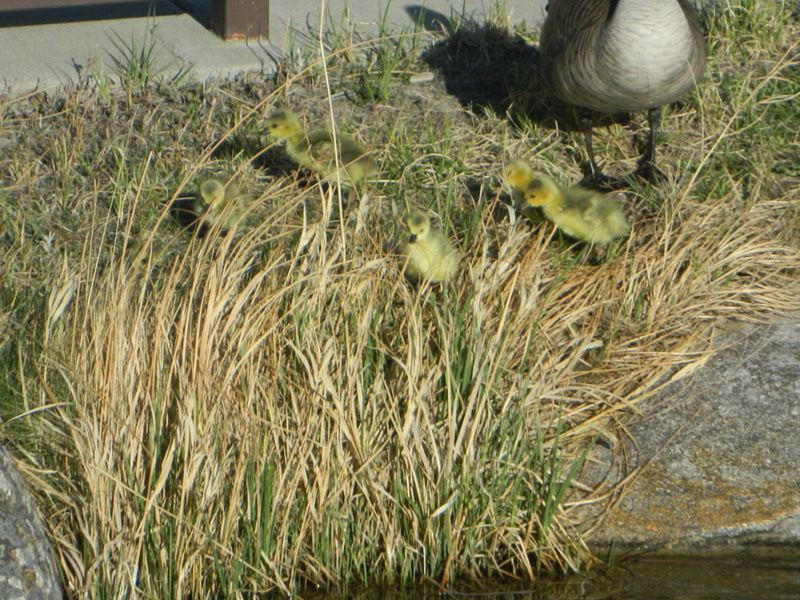 Springtime gosling… an annual rite. When I first came to work at Wyo-Ben, Inc. 5 years ago I had no idea what to expect. Yes, I knew that I would be working in a beautiful office and I would be shipping rail cars of something called Bentonite that had over 1000 uses to places far and away! I never dreamed I would be conversing with people from all over the world or dealing with overloaded rail cars, or discussing how BIG of a deal the difference in color between a light grey or tan material was for kitty litter — cats really are finicky and apparently so are their owners!! I think I had spoken to a Canadian once or twice in my life before coming to work for Wyo-Ben! Now I do it on a regular basis! I came to realize I was one of the lucky ones who learned the Oil Well business from none other than Harry Funk – a legend whose gruffness masked a very kind and funny soul! Not only did I learn about oil fields and the history of ALL of our customers from Harry, but I was treated to golf stories, and war stories, wife stories and music business stories, and jokes I probably should never have heard! That he worked up until his dying day– 50 plus years at Wyo-Ben – made me feel pretty darn sure I was working for a good company. What I found at Wyo-Ben was a family– from the Wyoming Wyo-Ben’ers to the Billings Headquarters gang – there was something deeper shared between us than just coming to work each day and doing our jobs. The Brown’s truly cared about each of us. We all cared about each other and we were encouraged to share what is important to us. The longevity of the Wyo-Ben employee – –something I won’t have there – is a testament to the quality of life Wyo-Ben offers it’s employees. Yes there were changes over the years- but all in all, it was a wonderful place to be with wonderful people 8 hours of the day, 5 days a week MOST OF THE TIME!! Taking big steps of their own. I thank my coworkers for your patience when I was new and just learning the ropes and rails. Thank you for the laughter shared despite stressful circumstances with our friends at the rail road. It is hard to leave a place such as this for the unknown but this place and the people in it were purposely placed in my life journey for a reason! If I can handle the rail road – I can handle anything, right? Truth be told, I have grown so much in the time I have spent at Wyo-Ben. Thank you for supporting that growth and encouraging me along the way. 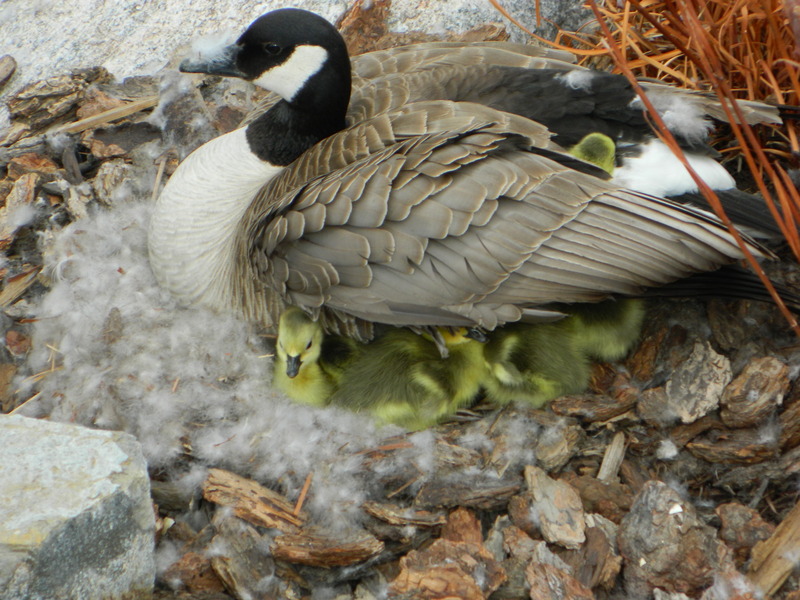 I am going to miss our Christmas Parties, Springtime Gosling Watch, and each and every one of you.